Since motorcyclists are potentially vulnerable road users, we analyse their safety from a global perspective, i.e. by considering aspects as varied as: driving style, risk perception, personal and motorcycle protection equipment, the condition of the road surface, and the presence of specific barriers or protection systems. 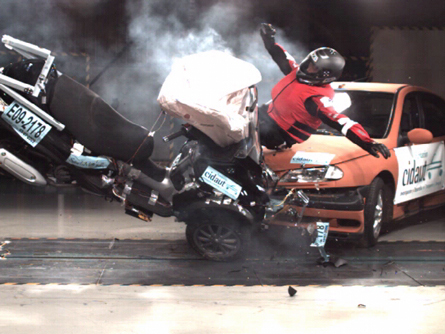 We have taken part in the drafting of the Spanish standard on the testing of motorcyclist protection systems fostered by the Ministry of Public Works. 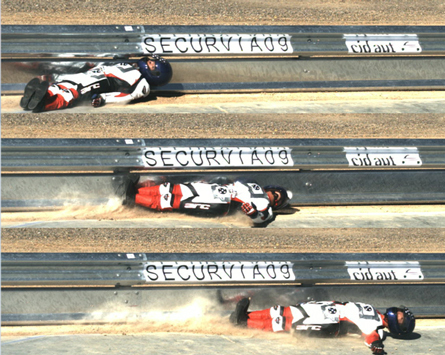 The aim of these systems is to improve the safety of motorcyclists when they crash into road barriers. This Spanish standard has been inspiration for a European counterpart (EN 1317-8). Additionally, we have drawn up recommendations for their installation and defined road geometries in which motorcyclists are more likely to drive off the road and, thus, the locations where these systems are indispensable. We look into how and why motorcycle accidents take place and record their consequences. To this end we have an accident database that systematically registers more than 2,000 variables associated with each accident. Although this database includes accidents associated with different types of vehicles, it pays special attention to motorcycle accidents. Our research projects are directed toward finding solutions in any of the following three lines: preventive safety, active safety, and passive safety. We undertake studies by considering the following three aspects: the human factor (the motorcyclist), the vehicle (the motorcycle and its equipment), and the infrastructure (the road, its surroundings and the protection systems). We have prepared and published, in association with different European motorcycling entities and associations, a Manual of Good Road Safety Practices for Motorcyclists. We research the installation of advanced devices in motorcycles so that motorcyclists may receive the appropriate information and consequently make the best decisions whilst driving. Some of the devices evaluated are ARAS (driving support systems) and OBIS (information systems), which are similar to those installed in other types of vehicles but adapted to the features and determining factors of motorcycles. 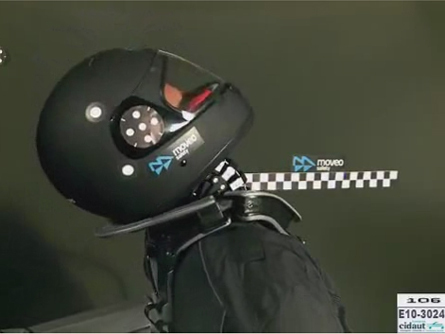 We develop new products aimed at protecting motorcyclists, as is the case of the MOVEO BRACE neck brace, which marries the best degree of protection with comfort and ease of use and can even be incorporated into the jacket.